I used to fear the Spider. Until I learned of the magic within them. 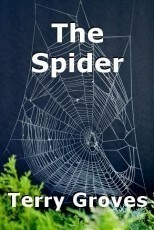 The Spider is a powerful guide with many lessons. The eight legs represent the directions of the compass. North,Northeast,East,Southeast,South,Southwest,West and Northwest. With these eight legs the Spider can move with great ease in any direction it likes. The tedious job of the Web each day or night is something like an everyday job. A worker if you will in the factory of life. But even with a perfectly spun Web there is no promise of a catch you see. The winds of Mother Earth may very well blow through this Web of perfect design and not catch a single thing. Just a simple chance one must take even though a hard working effort has been attempted. That does not stop The Spider, it only makes him spin a little more. Work a little harder. Hope a little more for a gift to land within the web. So, This is what is feels like.